Right now time is certainly one of our most precious commodities and convenience ranks right up there in importance. Whether you are a business traveler or a vacation traveler flying has become a time consuming, inconvenient necessary part of life. Waiting in lines, long walks to the gates, luggage restrictions and please we have all been in an uncomfortable situation with the small seats now on commercial airliners. Plus if you are planning on flying with your beloved pet be prepared to have them in their carrier on the plane under the seat in front of you. Not comfortable for you or for them! When you take these factors into consideration it is not hard to figure out how ElJet (www.ellejet.com) has announced a stunning and unprecedented 48% year over year growth in new client acquisitions. Being able to make your own schedule, streamline the billing process and make changes quickly has helped ElJet become a favorite of travelers. Can you imagine this? We recommend showing up at the FBO or general aviation terminal 5 minutes prior to departure on domestic flights and 15 minutes prior to departure for international flights. If you are running a few minutes late, don’t let it worry you – after all this is your jet, and you can leave whenever you want. Music to the commercial flyers ears! Plus your pet does not have to be under a seat and your children will be able to relax in comfortable seating arrangements. ElJet has flights that service 5000 US Airports and worldwide. When you deal with a world class company that has your safety, convenience and overall satisfaction in mind ElJet takes care of every possible scenario. Beginning with the booking process the team at ElJet jumps into action! By using their proprietary software they locate the least expensive private jet charter utilizing the best aircraft at the most reasonable price for your trip. If you would like to add services such as flying on a faster larger plane all of these options will be presented to you so you as the client can make an informed decision that takes care of all your traveling needs. From wheels up to arriving at your destination ElJet can ensure that your experience is unforgettable. Hotel reservations lift tickets, dinner reservations, nanny services are all available all you need to do is ask your Traveling Portfolio Manager for the information. For the business travelers being able to book and have a simple invoice with all aircraft, flight and incidental charges spelled out in a simple easy to read invoice also adds the traveling experience. Plus ElJet has recently launched the ElJet President’s Club. This is available to existing clients or by invitation. Traveling for fun? 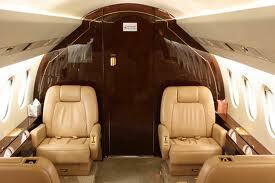 One of the quickest routes to legendary Las Vegas is by chartering your own flight (www.ellejet.com/las-vegas.php.) For bachelor/bachelorette parties, vacations, business ElJet offers the option for you to land at McCarran International Airport or utilize the Henderson Airport. Both are minutes away from the bright lights of Las Vegas. Las Vegas loves our LA visitors! And now it is easier than ever to visit the city of lights in the desert, ElJet utilizes the Jet Charters Van Nuys Airport (www.ellejet.com/van-nuys-ca.php.) No commercial airlines fly into this airport; it is used only by private, chartered, and small commercial aircraft. 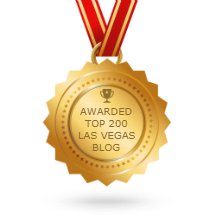 This will ensure your trip to Las Vegas is convenient and timely. There is a reason ElJet is an Inc. 500 winner for two years in a row! They take your traveling experience very seriously. 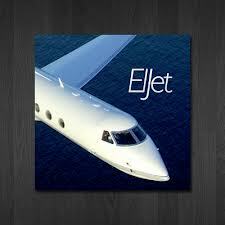 To find out more about ElJet call 1-888-355-3538 or email ElJet at charter@eljet.com.